The Old Town Temecula Community Theater is proud to announce some exciting upcoming events. House of Floyd, a Pink Floyd Tribute Band, will perform at The Old Town Temecula Community Theater on Thursday, June 16, at 8 p.m.
Set in an island paradise during World War II, two parallel love stories are threatened by the dangers of prejudice and war. American nurse, Nellie, falls in love with a middle-aged expatriate French plantation owner, Emile, but struggles to accept his mixed-race children. A secondary romance between a US lieutenant and a young Tonkinese woman explores his fears of the social consequences should he marry his Asian sweetheart. Nellie realizes that life is too short not to seize her own chance for happiness, thus confronting her own fears and prejudices. 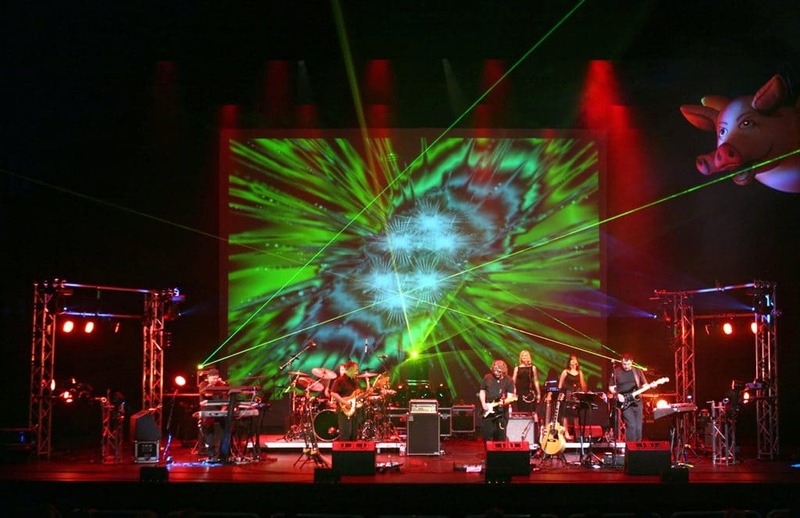 On Thursday, June 16, at 8 p.m., Temecula Presents will host House of Floyd, a Pink Floyd Tribute band. Guests can immerse themselves in the wonder of Pink Floyd’s music with House of Floyd’s faithful replication of the iconic band’s recorded songs. House of Floyd delivers musical magic, stellar musicians, the legendary films and tape effects, surround sound, atmospheric lighting, lasers, fog, and all that hypnotic Floyd. On Friday, June 17, at 8 p.m., Temecula Presents host Diego Mondragon Y Amigos at the community theater. Mondragon, his band, and dancers will perform New Age, Jazz, World, and Flamenco. Guests will treat themselves to an incredible night of Diego and his amigos’ flawless playing and energetic musical offering. On Saturday, June 18 at 7:30 p.m., Temecula Presents will host Destination World at the community theater. Prima Trio − comprised of Boris Allakhverdyan, clarinet; Gulia Gurevich, violin and viola; Anastasia Dedik, piano − will take guests around the world with their musical ability. Music will come from the streets of Buenos Aires to a village in eastern Europe. On Sunday, June 19 at 2 p.m., Temecula Presents will host Big Band Radio Show at the community theater. Guests will be transported back to the great Big Band era as master trumpet artist, Dr. Jack Poster, leads his 16-piece big band in a tribute to the music of Harry James. Filled with the classics, this performance features tributes to great Big Band stars such as Benny Goodman (played by Ken Dahleen), Jimmy Dorsey (played by Colin Wenhardt), Harry James, Benny Goodman, and Glenn Miller with vocalist Troy Clarke as they take guests on a nostalgic trip and celebrate the magic of the music from this golden era. From June 24-26, The City of Temecula Youth Musical Theater will present Seussical the Musical. Show times are 1 p.m. and 7 p.m. on June 24 and June 25, and 1 p.m. on June 26. Seussical takes guests into the magical world of Dr. Seuss, where the audience visits beloved characters including The Cat in the Hat, Horton the Elephant, Gertrude McFuzz, Mayzie La Bird, Jojo, and more. The colorful characters transport the audience from the Jungle of Nool to the invisible world of the Whos. Seussical is fun for the whole family. The Old Town Temecula Community Theater will announce its Temecula Presents 12th Season this July. For more information or tickets, visit the ticket office or go to www.TemeculaTheater.org.